Last Saturday (7th Nov) marked the 87th anniversary of the coronation of His Imperial Majesty Haile Selassie as Emperor of Ethiopia – hear me now! Yesterday also marks the 180th anniversary of the Latter Day Saints fleeing across the Missouri river – praise brother! 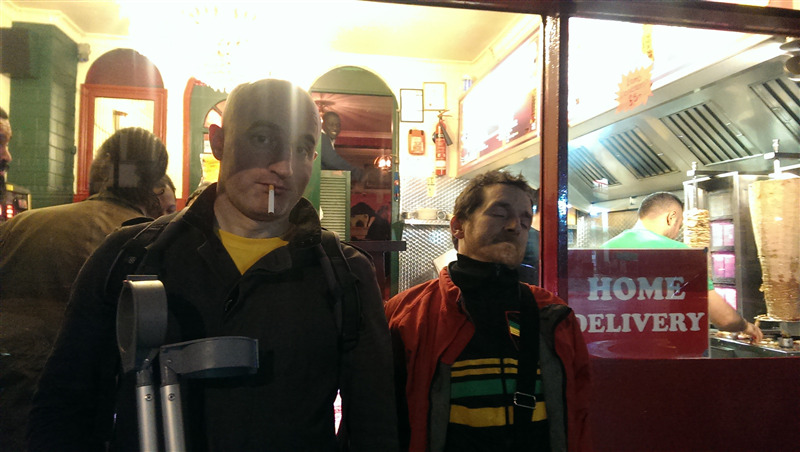 What better way to celebrate this than a joint darts tournament – DAM XI – Mormons v Rastafarians. Jamie and I checked out the venue last night. An idea of what it is like can be gauged by the spelling, grammar and AOB on the attached minutes from their latest AGM. Heating does not come on for another 2 weeks so dress appropriately. They sell Captain Morgan and have more in the store room. Food is not available, an abundance of Formica and nicotine stains walls are. Remember that your outfit denotes your first round grouping. Group with the least players chooses from the other group to join them. Choose wisely. We only have 7 confirmed (with Jo coming along a bit later) but never fear we have the perfect format for it. Final: 4 man smack down – winner takes all. With in these 8 man we have 3 previous tournament winners, 2 DAM winners, 4 previous number one ranked players, 1 debutant and a combined total of 126 asbos.